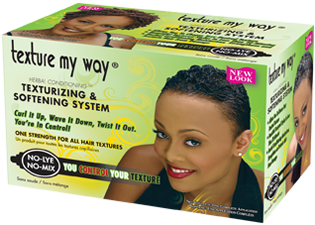 Texture My Way let’s you decide whether you want to soft waves, springy curls, or to just loosen tight, coarse texture to be softer and more manageable. With looser texture, you can create corkscrew curls, coils and many other incredible styles. The directions show you how to quickly and easily achieve your desired texture in 20 minutes or less. No Mixing Needed. including: Olive & Jojoba Oils, Shea Butter, Vitamin E, and more. Join our mailing list for tips, freebies & invitations! Founded in 1924, and currently headquartered in Stone Mountain, GA, House of Cheatham is one of the oldest continuing manufacturers of personal and beauty care products in America.